The bathtub plays an essential role in the bathroom. 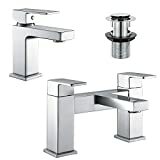 A bathroom that does not have a bathtub is seen as lacking and deficient. A well placed bathtub will be a fantastic focal point in any bathroom. 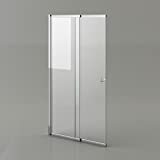 If you look online or your local bath store you will be met by a plethora of choices. 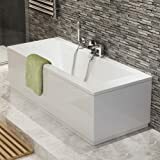 There are just so many bath tubs to choose from, how is one to pick the one that is most suitable for them. Well, have no fear, because we have created this article to help you decide the best tub for you. The first thing you have to tackle when it comes to choosing a bathtub is hone on your exact requirements. This is a fundamental step and seems so obvious that most people actually skip over it or do not give it much thought. There is no point in spending a lot of money on a tub that has fancy features which you are never going to use. Think also about the size of the tub you want. 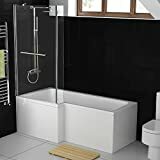 There are going to be many factors that determine what size you get but the most important is going to be the space you have available in your bathroom. 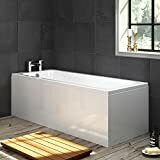 If you are lucky enough where space is no problem, then you need to give consideration to how the size of the bathtub will affect the style and decor of the room. You also need to take costs into consideration. Not just the cost of the initial purchase. 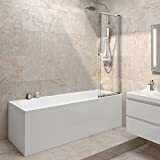 A larger bath tub is going to cost more than a smaller one, but you also need to think about such things as water usage. If you get a very big bath tub you will require plenty of water every time you take a bath. 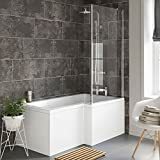 You can get tubs that are designed to fit two people, these are fantastic for a couple or you can go for a tub made for a single person. This allows you to relax and have a bit of 'me' time to yourself. What material your bath is made from is also another thing to think about. Nowadays, baths are made from lots of different material such as the traditional cast iron, steel and acrylic to wood, marble and granite. Each has its pros and cons, and which you opt for will depend on how much you want to spend, how much time you are willing to spend to maintain it and how long you want it to last. 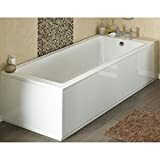 Acrylic bath tubs are the cheapest available; they are lightweight and retain heat well. They can however discolour easily so attention should be paid when cleaning them and what cleaning products are used. 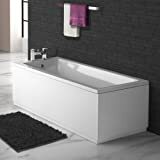 For a long lasting quality bathtub look for steel baths or cast iron baths. These tend to be heavier especially the cast iron and cost a bit more. The above are some of the things to think about before you embark on your journey to purchasing the bath tub of your dreams. The important thing is to know what you want, how much you can spend and to do your research before splashing out.